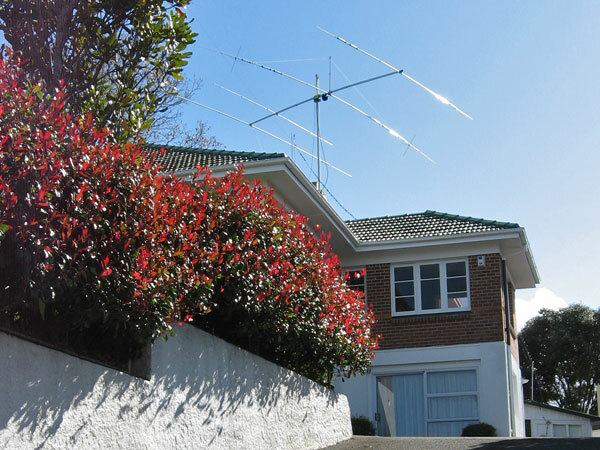 Amateur radio station ZL1NZ is located in south-central Auckland, New Zealand, overlooking the Manukau Harbour. It is a vintage ham radio station (some people call it a radio museum!) designed for long-distance communication on the shortwave bands. This station consists of US-built equipment employing valves (vacuum tubes). It is used for CW (Morse code) communications. This station consists entirely of US-built equipment employing valves (vacuum tubes). It is used for single-sideband (voice) communications. At the heart of this station is equipment from the prestigious Collins Radio Company of Cedar Rapids, Iowa. 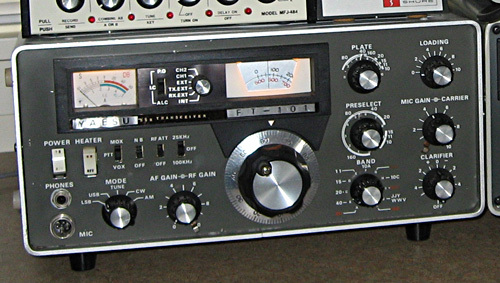 The heart of the station is a KWM-2 transceiver, the first commercially successful combination of amateur transmitter and receiver in a single package. The KWM-2 was introduced in 1959 and continued in production through the late 1970s. 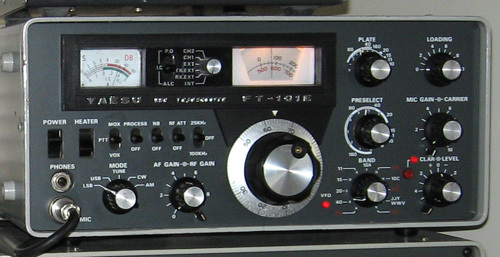 Complementing the KWM-2 transceiver is a 75S-3B receiver. This permits not just split-frequency operation (as in a regular S/Line station with dedicated transmitter and receiver) but also the ability to listen to two frequencies simultaneously. Also the 75S-3B has some features not found on the KWM-2, e.g. rejection tuning, variable BFO, adjustable AGC and a choice of filters. So, I’ve dubbed it an “S/Line Plus”. The 30L-1 linear amplifier uses four 811-A valves for about 500 watts output. 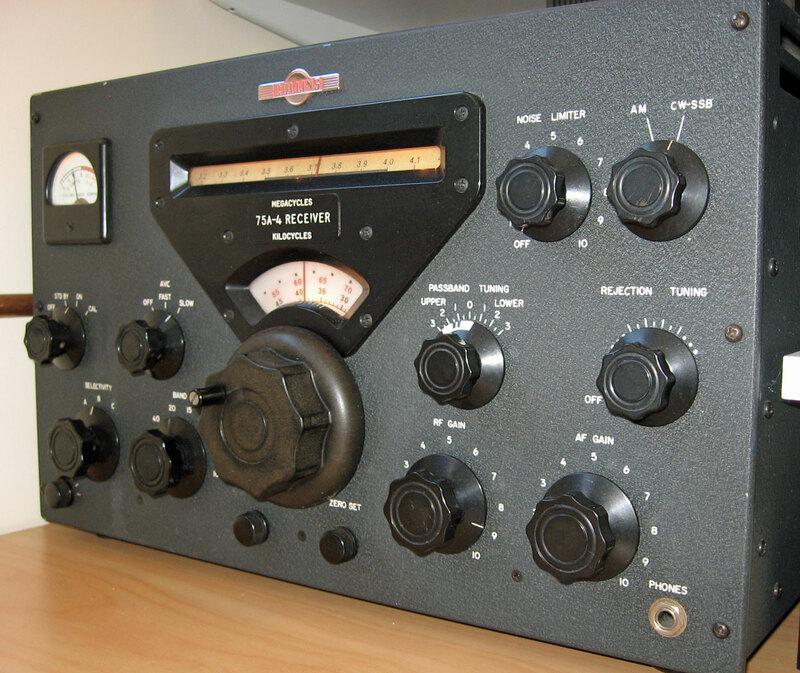 Other equipment in the station is by prominent US manufacturers Heathkit and Johnson. 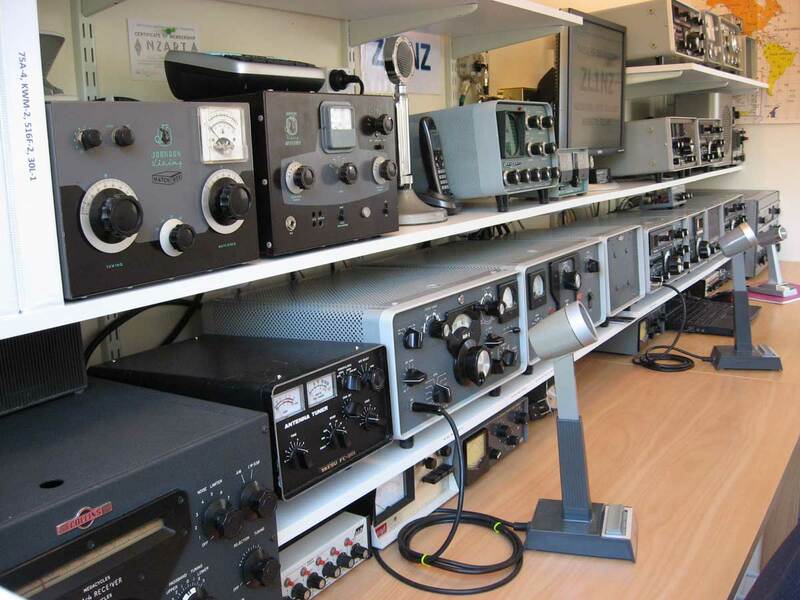 Sadly, all of these companies have ceased producing amateur radio equipment. This station consists of Japanese-built Yaesu equipment from the mid 1970s. 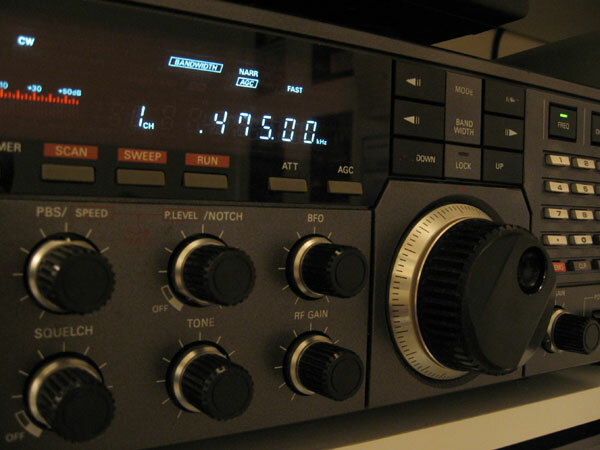 The main equipment is a pair of Yaesu FT-101E transceivers – an early model that includes the 11-metre band and a later model that was made after the 11-metre band was transferred from amateur radio to citizen band radio. 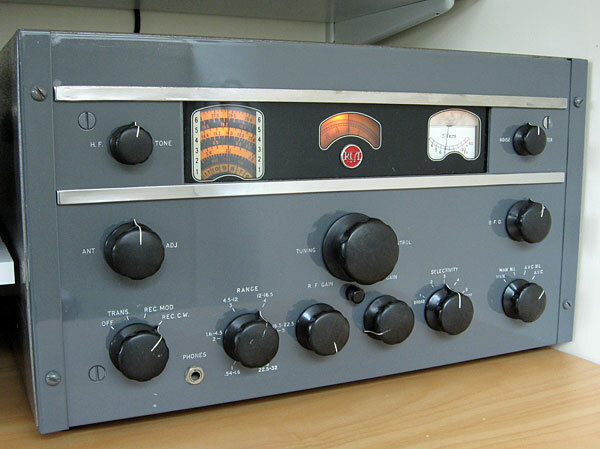 There is also an FT-101EX (same as the FT-101E but without an RF speech processor) as well as an original FT-101. These are “hybrid” radios, with valves (vacuum tubes) used in the high-power stages and transistors used in other areas. Even after all these years, I still get a surprise when I switch on one of these radios and hear the receiver come to life immediately, rather than waiting 20-30 seconds for it to warm up as with the all-valve equipment. I also use an FV-101B external VFO when working DX stations operating split frequency. 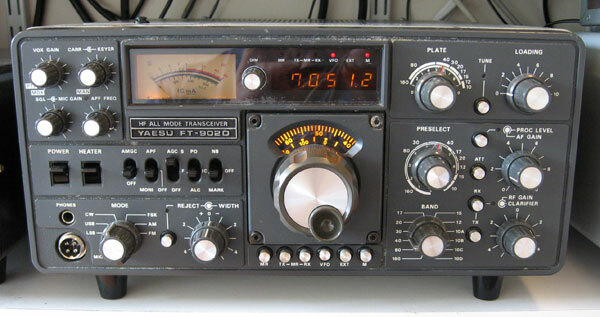 Rounding out this station is an all-solid-state Yaesu FRG-7 general coverage receiver for listing to shortwave broadcasts and to amateur radio stations using the traditional AM mode of voice transmission. Yaesu FT-902D transceiver with FT-902DM upgrades. Not great cosmetically, but recapped, cleaned up and working well. This is my main rig. This is an all solid-state HF receiver using the very stable Wadley Loop system. It matches the FT-101 equipment described above. I purchased this new in 1986 and it was the only HF radio equipment on our yacht while crossing the Pacific in the late 1980s. It was used mostly for receiving time signals (accurate time being essential for celestial navigation) and weather reports (SSB, CW and IAC Fleet Code). VE3OSC tribute page: As a teenage ham, I was fortunate to become an operator at the world-class VE3OSC, operating from the Ontario Science Centre in Toronto.